Timberlost Outfitting offers fully guided Saskatchewan, Canada Trophy Whitetail Deer Hunting, Black Bear hunting and Goose hunting. 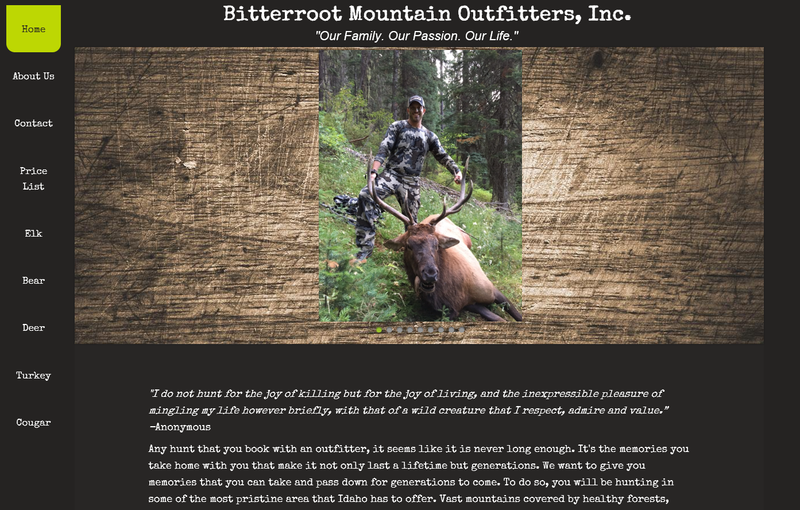 Timberlost Outfitting is a Trophy Hunters paradise due to the good genetics, perfect habitat and few hunters, offering great opportunities at bucks over 170" and pope and young bears. Firearm hunts and archery hunts are offered on a limited basis to maintain a low pressure hunting environment. Extensive management practices and maintaining year round nutrition with various mineral and salt licks, and predator control ensure our trophy whitetail deer develop to their fullest potential. All trophy hunts start at Timberlost! Timberlost hunting is on exclusively managed property, which has been under strict trophy management for many years, providing our hunters with great success on mature animals. We offer trophy deer hunting and trophy black bear hunting at a fair price without a lot of frills, but with all our attention on you harvesting a trophy animal and having a quality hunting experience. Timberlost Outfitting is remotely located between Big River and Leoville, Saskatchewan. It is situated in lush northern Saskatchewan boreal forest, approximately 140 miles north of Saskatoon. Saskatchewan Environment has rated this area as one of the best in Saskatchewan based on deer habitat and density. The main lodge is magnificently finished with pine interior, a wood burning stove, a bathroom and shower and full kitchen and living area. First class meals are prepared fresh by a trained chef. Homemade baking is a welcome treat while awaiting the 'big one' from your tree stand. Timberlost Outfitting provides a hot tub, satellite TV, and a cell phone booster! Each day starts early with a hearty breakfast, after which you will be guided to your stand on your own quad. Enter the Sunfish Valley Whitetail Zone - where fair chase is the only way to go. We offer fully guided whitetail hunts on 15,000 privately owned acres, or nearly 24 square miles, in South central Ohio. Our bucks are low pressure, big woods bucks that are given the opportunity to mature into trophy bucks. One of our best advantages? We don't lease the land we are outfitting... We Own It! With over 15,000 acres of land in a five county area, we don't have to play the numbers game like most outfitters just to pay their land leases. When you book a guided bow hunt with us, there will never be more than 12 hunters on our 10,000 acres of bow hunting only property. This eliminates the problem of over-hunting the ground and chasing the deer off our properties. It also means that our hunters don't have to harvest our 2 1/2 and 3 1/2 year old bucks because they won't see anything better. This gives our bucks a chance to mature, reach their full potential, and pass on their genetics. Another advantage for us is there is no pressure from other outfitters, unlike some areas of the country where almost every piece of ground is leased or hunted by an outfitter or hunting club. This keeps our deer relaxed, going about their daily routine like nature intended. We are the only outfitter in this area and one of our goals is to minimize pressure by keeping the number of hunters to a minimum. Even with hunts fully booked, there will only be 12 hunters in camp at a time. That allows us to provide you with personal service. That's hard to get when there are 30 hunters in camp. Every evening you will get to sit down with the camp manager and your guide, discuss the days events and make plans for the next day. You will be a part of the decision making process during your hunt. Our goal is for you to have a great hunt! We have experienced, mature guides -- not taxi drivers. Our hand-picked guides have a genuine love of the hunt and a desire to share that excitement with others. It is their job to try to get you on the buck of a lifetime! We do NOT allow our guides to hunt the properties that our clients hunt, so they are never scouting for themselves. Hunt Dates: January 11 - 12, 2019. Hunter registration is from 1:00 to 8:00 p.m. January 10, Holiday Inn Express - Greenville, AL. Hunt Package: Two days of guided or semi-guided whitetail deer hunting during the rut in Alabama’s Black Belt region with local guides on private land - 4 hunts or hunt all day both days. Opportunity for hog available. Game will be cleaned, quartered and refrigerated until your departure. Enjoy friendly fellowship and a great meal Saturday evening. Awards banquet, gun raffle drawing, and door prizes on Saturday night. Deposit: $250 deposit due by November 30, 2019 to secure your spot. Remaining balance due at sign-in. Deposits are non-refundable after November 30. Deposits may be mailed or made online. Bag Limits: Four deer – one antlered and one unantlered deer per day (except spotted fawns); with the following restrictions on antlered bucks: three during all combined seasons. One of the three must have at least 4 antler points 1” or longer on one antler. Antlered bucks must be recorded on Dept. of Conservation approved form before it is moved from the field. Refer to www.outdooralabama.com for more information. If your guide has a harvest management policy that is above state regulations, you are expected to comply. You will know well in advance if your guide has such a policy. Your guide will be in touch with you after the holidays to answer any specific questions you may have for him. No bag limits on hogs. License: A 3-day trip license is required for out of state residents. Alabama residents need a resident hunting license. Licenses are available by calling 888-848-6887 or online at www.outdooralabama.com A license is required for everyone 16 or older. Hunter education is required for persons born after 1977. Lodging: Lodging is at the hunters’ expense. We have a group rate of $84.00/night at the Holiday Inn Express Greenville, AL. To make reservations, call the Holiday Inn Express at (334) 382-2444 and be sure to tell them that you’re with the FDA Hunt. Equipment: We hunt rain or shine so bring your rain gear, warm hunting clothing, waterproof boots, a weapon (gun, bow, crossbow) that you are comfortable with, blaze orange hat or vest (required by law), flashlight with new batteries, and an ice-chest to transport your meat back home. You are also welcome to bring your own climber and ATV. Special Needs: Any special needs (can't walk very far, can't climb a ladder, etc.) we will try to accommodate if we know about them in advance. Registration: Register on our website or by mailing the Registration Form with deposit. Please do not register directly with local guides or landowners. 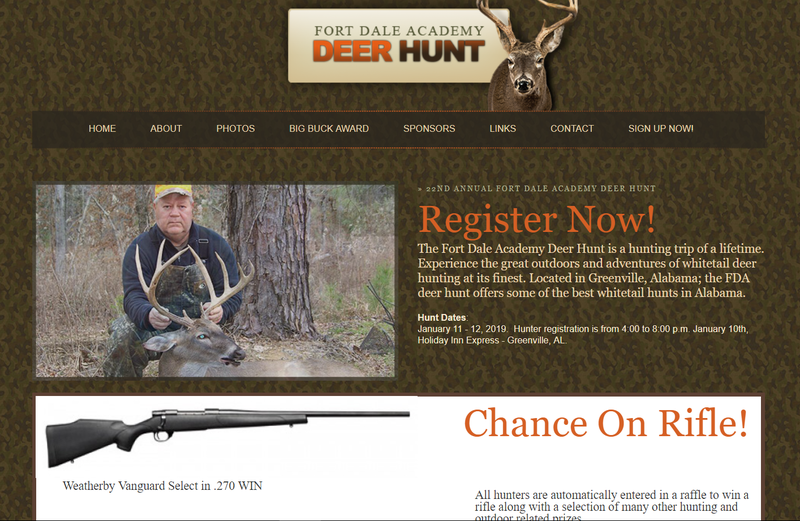 Contact: The Fort Deer Hunt at 334.301.8919 or email fdadeerhunt@gmail.com . Would you like more Deer, Quail, turkey or just more wildlife on your property? Are you looking for that great hunting destination? Let Habitat and Hunting Services LLC help you develop a plan for your Missouri property or let us take you on a great hunt. My name is Doug Luetticke my wife April and I live on a farm in rural Missouri. We are avid hunters with strong emphasis on wildlife management. We are always striving to put more quality habitat on our land with food plots, tree and shrub plantings, clear cuts, etc... anything that benefits wildlife we are passionate about. If you are looking for a place to bag that next trophy buck then you have found it. H&H Services has thousands of acres of well managed land that holds trophy whitetails. All hunts are 100% fairchase. We offer bow, muzzleloader and rifle hunts. 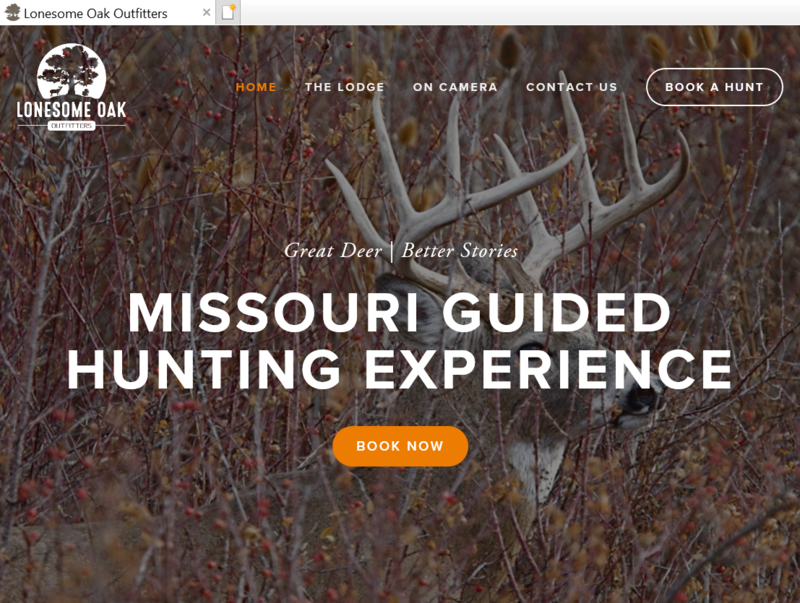 Missouri is only one of few states that you can hunt with a rifle during the peak of the Rut. What better chance to shoot that B&C buck? Our pre-rut bow hunting is pretty awesome too. Our new, late December, muzzleloader season will be a good opportunity to harvest that trophy of a lifetime. Here we believe in a quality hunt and we strive to give every hunter that opportunity to harvest a good buck. We try not to shoot anything under 130" and harvest good mature deer. We try to be as low pressure as possible. Good food plots are scattered throughout the land to hold the deer and give them the proper nutrition to grow those trophy horns we all dream about. We also provide hundreds of pounds of TROPHY BUILDER Vitamin/Mineral Supplement to maintain a healthy herd and help with those big racks. We have good, clean lodging and provide meals with your hunt. Hunts are five days and you should arrive around noon on the day prior to your hunt. We like to get you familiar with the area you will be hunting before your hunt starts. I am a full time guide, this is my job and my Passion!! If you go with a part time guide you get part time results!! I have one job and one job only, to give you the HUNT of a LIFETIME, and the shot at a BRUTE from the Buckeye State!!! The owner and guides have over 60 years of combined whitetail bow hunting experience in Ohio's farmlands and hardwood bottoms. My hunts are 100% fair chase, 100% heart-pounding bow hunts. We make no guarantees on harvest but we do guarantee to give you a memorable hunt in areas that are managed for bow hunters by bow hunters. All my properties are privately leased and operate in Two of the top 5 counties in Ohio for harvesting Pope and Young (125" min) and Ohio Big Buck (140" min). My properties are for you - the bow hunter that dreams of that magic opportunity for a chance at the buck of a lifetime. It's what drives us all year long. Come experience the brutes of the Buckeye State with us. Our Turkey hunts are fully guided with guides who have over 40 years and several dozen Gobblers under their belts. Our hunts are both Bow and Shotgun. All Bow hunts are out of blinds, and our Shotgun hunts are prime run and gun. Lots of birds and lots of action!!! Come enjoy Ohio's Thunderlips with Ohio Bowhunting Outfitters. Limited number of hunts available. Snake Creek Outfitters offers trophy archery hunts for monster whitetails. Experience the thrill of hunting one of North America's most popular big game animals. Their incredible hearing, pin-point vision and amazing sense of smell makes these deer a challenge for any hunter. Our primary methods of hunting are from ground blinds, rattling over decoys and focusing on travel corridors between food and bedding areas. Our whitetail hunts are limited to 6 harvested animals per year insuring the quality of our deer for our clients. All hunts are fair chase. There is a great opportunity to harvest a Pope & Young whitetail. Whether you would like to hunt from a ground blind or spot and stalk, Snake Creek Outfitters offers it all. All hunts are fair chase here at Snake Creek. We welcome all hunters; young, old and the mobility challenged. Your hunt of a lifetime will take place on all private land. We have access to over 10,000 acres of private ground, guaranteeing you will experience a quality hunt. Your hunt will take place on a mixture of crop ground, grassland and low-lying sloughs. * South Dakota archery tags are not included in the above price. * We will field dress and cape trophy in the field. * All other processing fees are the responsibility of the hunter. Thank you for your interest in choosing Indiana as your destination for trophy whitetail hunting. Our state in general and specifically the areas where we hunt are known for large whitetail. There are a couple reasons why Indiana is one of the nation's most well kept secrets. We hunt areas that provide more than enough nutrients and forage for our herd to produce large bodies and in turn large racks. Our deer are very healthy and disease-free. If you have ever hunted any of these states then you will love the hunting experience found in Indiana. It is not uncommon in our hunting area for a mature buck to weigh 200-250 pounds and gross score between 130" and 200+". Our 14,000+ acres of prime hunting land in Carroll, Cass, White counties will offer the hunt that a true sportsman will appreciate and enjoy for many years to come. The areas we hunt as mentioned above are to a large degree agricultural fields. We have woodlots, fence rows, and ditches that surround these fields that can be utilized along with our river and creek bottoms for natural funnels. We have over 11,000 acres in Southeast Kansas that are intensely managed for mature bucks. Management includes over 60 food plots, protein feeders and corn feeders that are kept going 365 days a year. We do everything that is humanly possible to provide the nutrition that a deer needs, but also the habitat to make the deer feel safe, comfortable and staying close. Bow hunts run 5 and a half days. We only run the 4 prime weeks for archery (from the end of October to the end of November). Each hunt is limited to no more then 8 hunters at a time. The first week of Rifle is a 5 day hunt. Rifle season begins the first part of December. Our season is 2 weeks long and each hunt is limited to 6 each week. 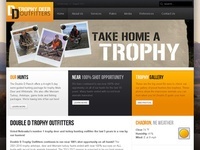 Year in and year out, we provide hunters with good opportunities on trophy class bucks. It does not matter whether you're hunting with a gun or bow we will give you 110 percent of our efforts to give you the best hunt possible. Broken Brow Outfitters is located in southeast Iowa. We offer whitetail deer, wild turkey, and pheasant hunts on over 3,000 acres of private land. Our properties consist of hardwood ridges, timbered river bottoms, large native grass (CRP) fields, large wetlands (WRP) fields, and vast crop fields. All hunting at Broken Brow Outfitters is 100% fair chase. We offer archery, shotgun, and muzzleloader deer hunts, from one to four hunters. The maximum number of deer hunters allowed on all of our properties at any given time is four. We believe this keeps hunting pressure to a minimum, giving deer all the more reason to use our land. We pride ourselves in quality deer management thus there has been a 130 inch minimum rule installed. More importantly, we strongly encourage every hunter to harvest the oldest buck they can. We also encourage selective harvesting of does. Many of our properties have large populations of turkeys, and with the ever changing terrain this makes for an exciting yet challenging hunt. Our lodge will easily accommodate six people with all the amenities of home. Full kitchen, bedrooms, bathrooms, large living area, pool table, cable tv, laundry, and phone. 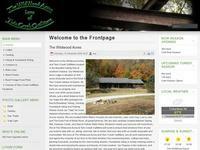 The location is prime, as the lodge is within walking distance of many of our hunting properties. A great place to relax after a long day of deer hunting or wing shooting. The DD Ranch offers a 4-night 5-day semi-guided hunting package for trophy Mule Deer and Whitetails. This semi-guided package includes all meals, lodging, and popular beer and soda beverages at the end of the day. The DD Ranch does offer guided and unguided hunts but the basic package is a semi-guided hunt. The DD Ranch consists of 70,000 acres of privately owned land in western Nebraska that sits adjacent to tens of thousands of acres of public land, giving our customers an unlimited amount of hunting ground. We are located near Chadron, Nebraska, which is on the Wyoming and South Dakota border. The DD takes a very limited number of hunters a year on the ranches to ensure quality trophy deer every year for every hunter. Only trophy deer are harvested. Our deer are 100% wild and not fenced. This is a TRUE hunt!! The DD Ranch also provides combination South Dakota and Nebraska deer, turkey and antelope hunts so hunters can have a double state grand slam!! Being a hunter myself, I believe that every hunter wants to have a shot at a trophy deer and the DD provides that opportunity. The DD Ranch is a new hunting ranch and 2001 was the first year we took out hunters. Over the past 9 years, the DD has offered MANY TROPHY Whitetail and Mule Deer as well as MANY Merriam turkeys and antelope so I decided to start up a hunting camp. The DD Ranch requires each deer that is harvested to have a minimal of 4 points on at least one side. This will ensure trophy deer every year. Because the DD is a well know proven successful guide service and takes only a limited amount of hunters, we recommend that you book early. The DD believes in superior hospitality. We will cater to almost all reasonable requests. We want our hunters to leave our ranches and honestly say that they had the hunt of their life. The DD will provide transportation from Chadron, NE and Rapid City, SD. We also provide all transportation on the ranches and the use of all terrain vehicles are used to transport downed game out of the field. We want our hunters to have the time of their life while away from home. We believe an excellent deer hunt requires more then just trophy deer. The fun really starts at the end of each day with a hot meal and all the beverages you want. We house our hunters in our main lodge, bed and breakfast facilities, and hotels depending on time of year and number of hunters in camp. All We want our hunters to become lifelong friends so I guarantee that our hunters will be catered to in the fullest. Do not be afraid to ask! We will try to accommodate to any request to ensure that your hunt was a success. Pipe Creek Guide Service is located in the heart of Kansas. We offer some of the best upland bird, whitetail deer, turkey, and predator hunting in Kansas. We have archery, black powder and rifle hunts for Whitetail Deer. Our country has a lot of cropland, with woodlots and wooded creek bottoms mixed in. We have a good deer population, with some very nice bucks. In the season just ended our deer hunters had 80-85% opportunity on 140+ plus bucks, with a number of really nice bucks taken. Our Spring turkey hunters also did very well. Archery season takes place during the pre-rut and goes through the rut and post-rut. Rifle season generally starts at the tail end of the rut/post rut. All bowhunting is done from tree stands overlooking trails leading to and from bedding/feeding areas. During rifle season you will generally hunt mornings and evenings from tree stands or good ground blinds. We also have excellent pheasant and quail hunting. North Central Kansas generally has great habitat for upland birds, and our properties are no exception. We have a modern, fully furnished lodge with all the comforts of home, washer/dryer, satellite tv, etc. Meals are the responsibility of the hunter, and we make available to you the kitchen/cooking facilities in our lodge at no extra charge. 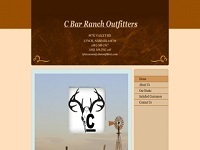 Shalda Creek Whitetail Hunting Co.